Great news for a favorite cast member of Dexter! 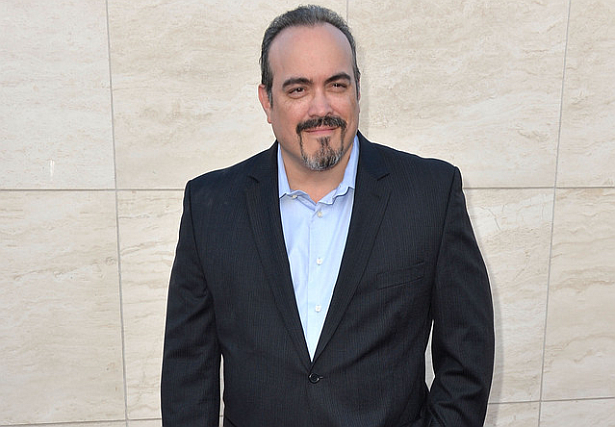 via THR: Sony's star-studded Annie remake has added Dexter star David Zayas. The live-action film will star Beasts of the Southern Wild actress Quvenzhane Wallis as the titular orphan, while Jamie Foxx will play the Oliver "Daddy" Warbucks character (called Benjamin Stacks in the remake). Cameron Diaz has signed on to play orphanage manager Miss Hannigan and Rose Byrne plays Grace, Stacks' assistant. Zayas will play Lou, the local bodega owner who is a friend to Annie and has a crush on Miss Hannigan. Will Gluck is directing the project, which is set in modern times. Jay Z and Will Smith are producing along with Smith's Overbrook Entertainment partners James Lassiter and Jada Pinkett-Smith. Based on the original Harold Gray comic strip about an orphan girl and her wealthy benefactor, Annie is slated to open in theaters on Dec. 19, 2014. Sony recently shifted up the release date from Christmas Day. Zayas has appeared as Angel Batista on Showtime's serial killer drama Dexter since it premiered in 2006. The show's final season wrapped on Sept. 22. His upcoming film projects include the drama Ride, starring Helen Hunt. He's repped by Innovative Artists, ATA Management and Schreck Rose Dapello & Adams.